Drive the winding road and stay over a day or two to enjoy the jungle scenery. MAUI, Hawaii — It all came back to me when a mud-splattered pickup with giant tires fishtailed from around a tight bend ahead. My breath sucked in with an audible whoosh as our fenders air-kissed like starlets at a Hollywood premiere. Fleeting thought: Maybe I should have popped for the full damage waiver at the car-rental counter. This was Maui’s road to Hana, 50+ miles that has long been fabled among tourists for being as bendy as a garter snake with cramps. One-lane bridges? Enough to give a Formula One driver a permanent nervous tic. But it had been well more than a decade since I’d last driven it. With my mainlander’s view of how “progress” inevitably straightens roads, I was braced on a recent visit for the adventure to have been tamed out of the Hana Highway. There are a few miles of new pavement as you head east from Pa’ia town. But plenty of thrill ride remains, replete with blind curves, crumbling bridges, Tarzan vines hanging from above and many spots where the centerline just disappears without warning because, well, the road’s too skinny for two cars. Embrace it. Shut off the AC and open your windows to savor the heady aromas of wild jasmine and rotting guavas. Relish views of jungle waterfalls, lava-rock coast and swaying palms — while you keep your eyes peeled and fingers crossed. But Hana has only one major hotel, the Travaasa Hana (travaasa.com/hana). With rooms for two starting at $450, it’s not for everyone’s budget. So I set out to find the cheaper side of Hana. Here’s a roundup of tips on where to stay, where to eat and what to do without emptying your wallet. Airbnb and online vacation-rental sites have opened up Hana’s lodging market. A recent search on HomeAway.com listed nine Hana rentals for $200 or less. But don’t stop there. On VRBO, I found a modest room in a local family’s back garden for $87 a night plus tax, a wild bargain no matter where in Hawaii. (Pay $11 more for a full kitchen; sorry, no credit cards.) It was nothing fancy, but it was as clean and well-equipped as a Super 8 — with a riotous garden of torch ginger outside the door. 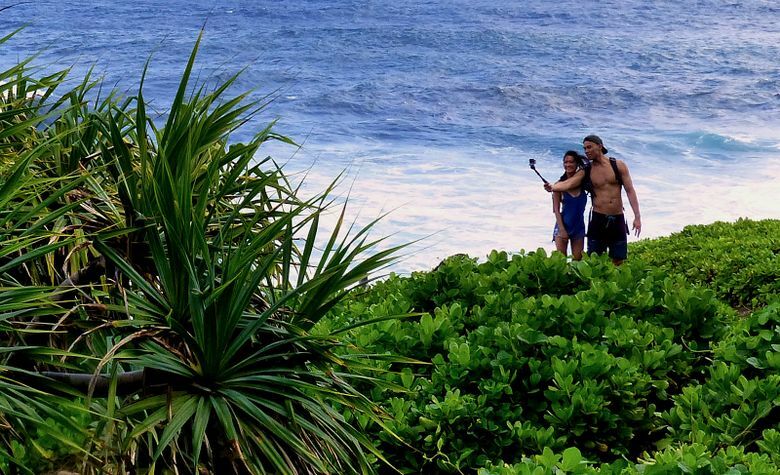 Expect roosters at dawn and enjoy this slice of real Hawaii (bit.ly/1nogsKr). You’ll also find many small lodges and cottages listed on hanamaui.com/lodging. Want an even more serious budget stay? Bring your backpacking tent to the Kipahulu coastal unit of Haleakala National Park (nps.gov/hale), 10 miles south of Hana. Among dozens of campsites — including many with ocean views — I saw only one tent camper when I visited in October. Included are picnic tables, barbecue grills and vault toilets. Bring your own water jugs, which can be refilled at the visitor center. The cost, for up to two nights: only the $15-per-vehicle park entry fee (1.usa.gov/1J7dXWR). First come, first served. 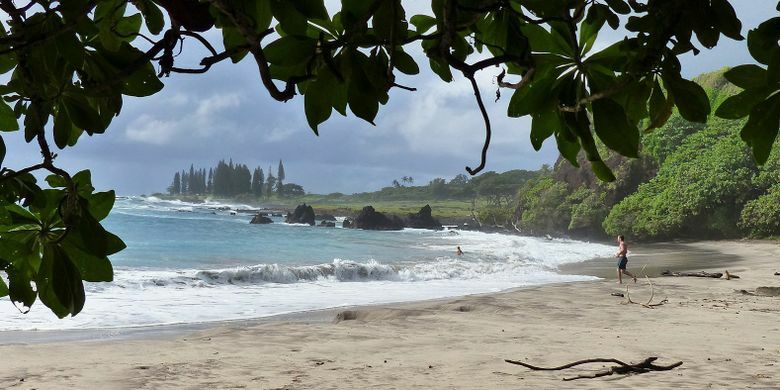 Camping is also available at Hana’s Wai’anapanapa State Park; $18 a night for nonresidents, reservations required. Also: basic cabins for $90, though they are closed for renovation at this writing (1.usa.gov/1Rqr08v). Food trucks were a Hawaii thing long before they blanketed Portland and Seattle, but be warned: Around Hana, they cater to day-trippers, so most close by 4 p.m.
• Braddah Hutt’s BBQ Grill, off the highway just south of Hana, draws you in with sweet-smelling smoke wafting across the road as you drive through a tunnel of Cook Island pines. Chicken plate $11, fish tacos for $8. • Da Chow Wagon, just south of Hana’s only gas station, is a good place for classic Hawaiian dishes such as loco moco (beef patty topped with fried egg and gravy, on rice), $10; or catch of the day, $14. In town, there’s also the Surfin’ Burro trailer (burritos), and for dessert, Shaka Pops, a stand that sells fruit-packed ice pops in flavors such as strawberry-banana and ginger. Lunch at the beach? Head 1.5 miles south and turn toward the ocean on Haneo’o Road. The first sand you’ll come to is Koki Beach, popular with surfers. As the road curves you’ll see a cement-block barbecue where locals take turns fixing and selling lunch. For $10, I got a big plate of kalua pork with sides of rice and macaroni salad from David and Ilona Phillips. 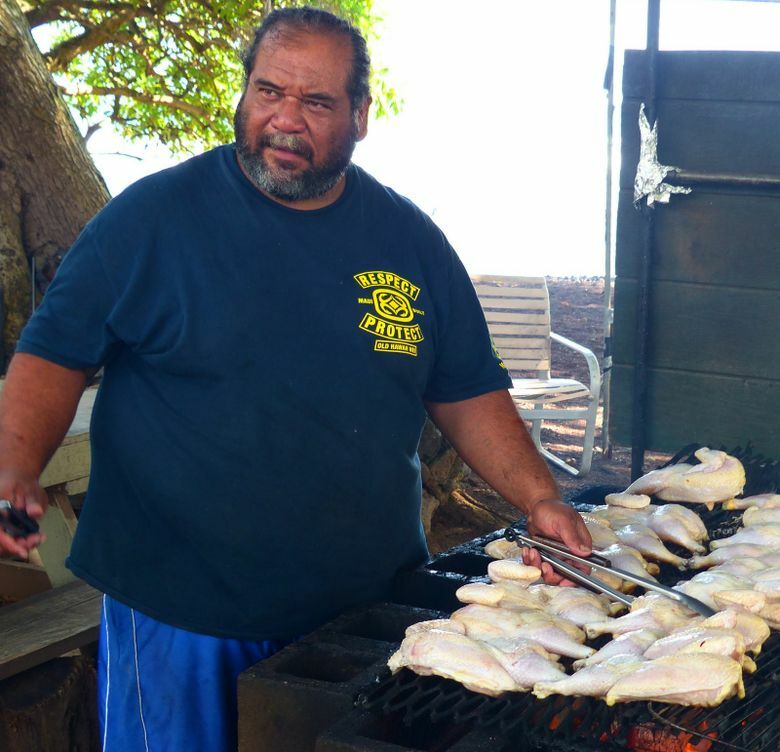 David, born and raised in Hana, pointed to his rooftop on a far hillside as he roasted huli huli chicken over an open fire. He said he uses keawe, ironwood or guava wood for his fires. “Guava gives a real unique taste, we use it for smoking meats,” he told me. Come to Koki Beach around dawn, David advised, to see locals fish with nets and catch lobsters. Sated with carbs and salty pork? Stop by the Hana Fresh tent at Hana Health Center, 4590 Hana Highway. Not only do they sell lots of fresh produce, but the smoothies are a bit of tropical, icy heaven: mango, passion fruit and pineapple blended with coconut water, $7. Lunch choices include a grilled vegetable panini, $10, or a Greek salad with shrimp, $13 (hanahealth.org/hana-fresh). If you rent a place with a kitchen (good idea! ), two Hana stores sell groceries: historical Hasegawa General Store, 5165 Hana Highway, and the Hana Ranch Store, 1 Mill St. Both have limited inventory and steep prices. To save money, shop in Kahului (Safeway, Costco) before heading east. 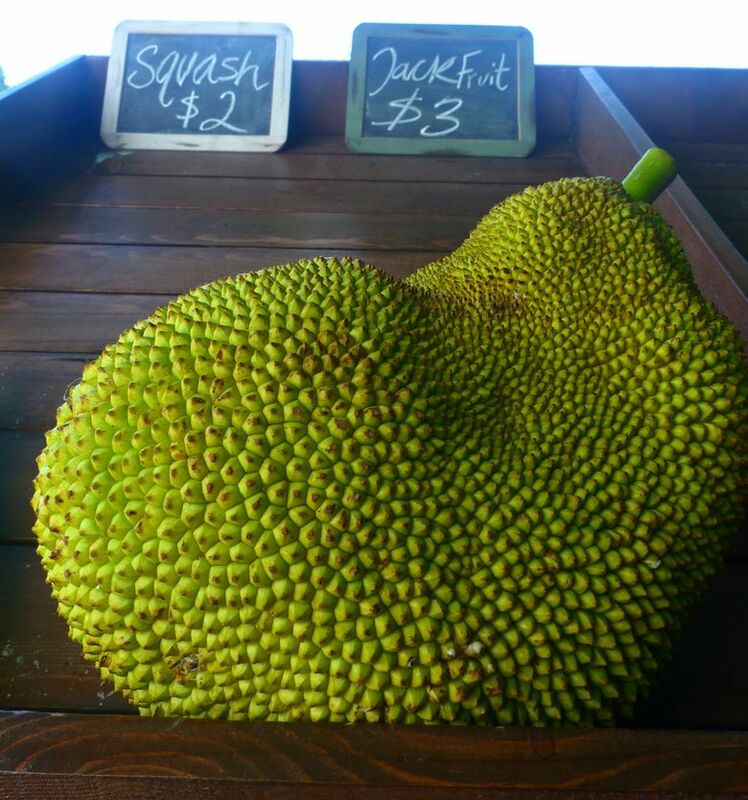 For natural foods, I liked funky/friendly Mana Foods, in Pa’ia (manafoodsmaui.com). The other Hana Highway budgeteer’s treasure: roadside fruit stands. Here’s where to find the ripest papaya for a buck or two. This might sound crazy after spending your day in the car to get to Hana, but the next day you’ll want to see more. This side of the island only gets more junglelike as you tour the shore south of Hana. Pack a lunch and the day won’t cost you more than gas and the $15 admission to Haleakala National Park. 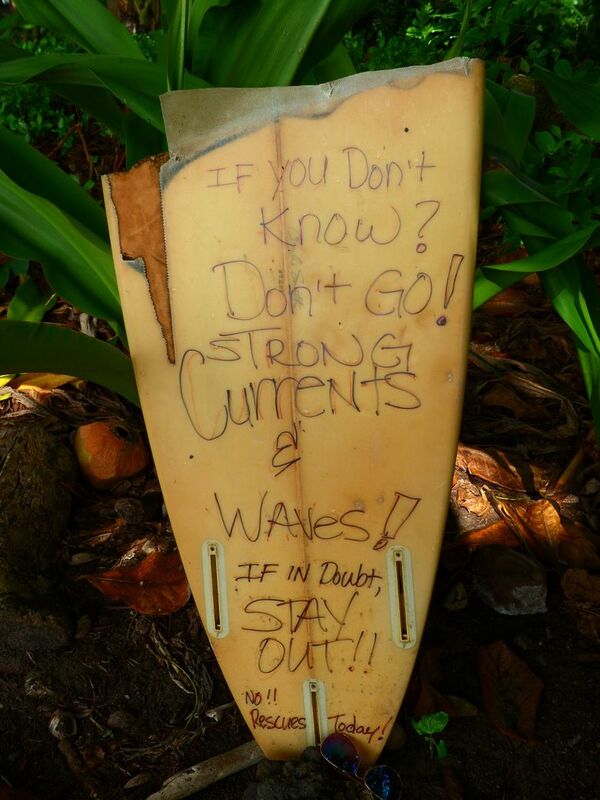 Tip: Go early and you won’t yet have added traffic from the day-trippers coming from the other side of Maui. They start arriving around 11 a.m. Turn off on Haneo’o Road, pass Koki Beach and watch for Hamoa Beach, which National Geographic regularly includes on Top 10 lists of the world’s best beaches. Roadside parking is sparse, so going early is smart. At 9 a.m. I found only four people on the sand. Here you benefit from the Hawaii law that every beach is public. Since the Travaasa Hana resort isn’t on a beach, this is where the hotel shuttles its guests. They have exclusive access to some dressing rooms and showers, but there are public restrooms, too. And everyone gets to use the well-built stone stairway leading to the beach. After a wade, continue south on the highway, which gets bumpier and narrower. Signs recommend 5 mph on some turns as you tunnel beneath thick canopies of monkeypod and breadfruit trees. 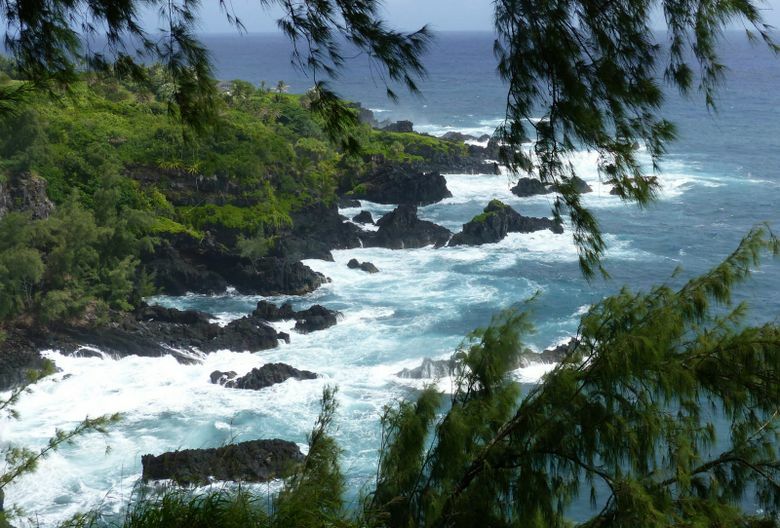 • The national park, for a 15-minute walk on the Kuloa Point Loop Trail, which offers stunning views of ocean shore and the cascading pools and waterfalls of Ohe’o Gulch. 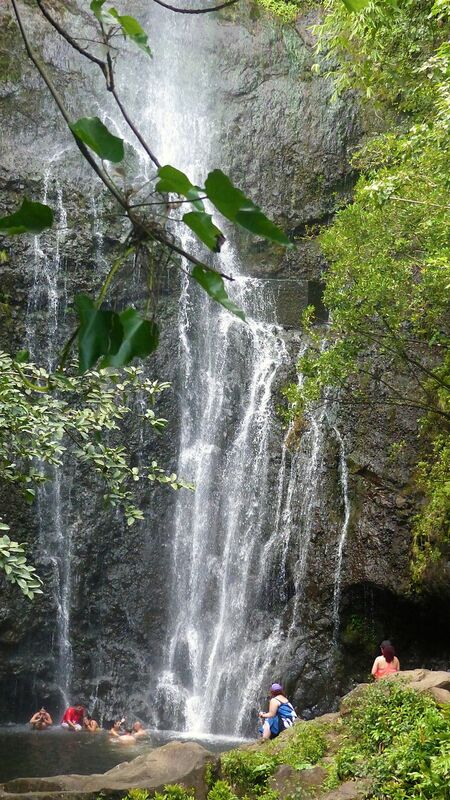 Also here: The four-mile Pipiwai Trail to 400-foot Waimaku Falls is one of the favorite hikes on Maui. 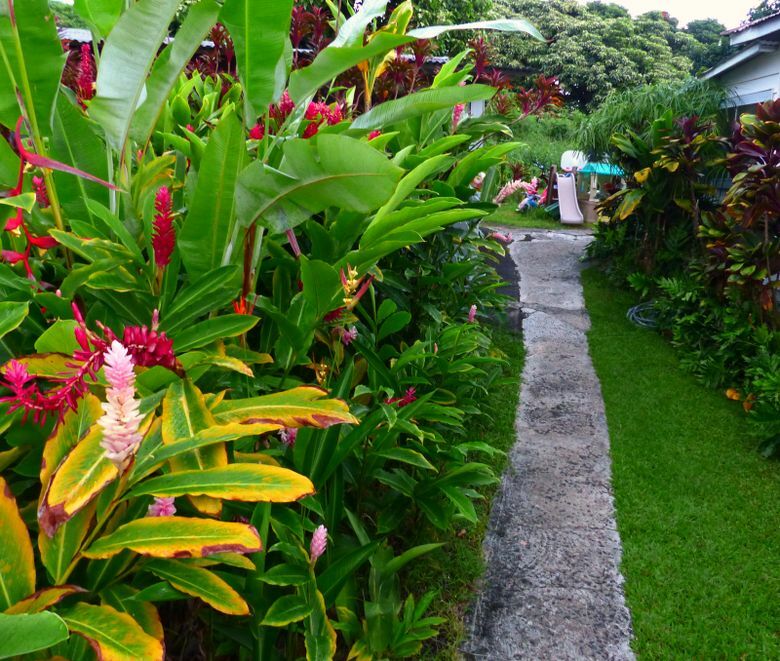 North of Hana, Kahanu Garden is a remote and undervisited 464-acre outpost of Hawaii’s National Tropical Botanical Garden. The $10-per-person admission is worth the investment (kids 12 and younger, free). This is also home to Hawaii’s largest remaining ancient structure, Pi’ilanihale Heiau, dating to 1200 A.D., a massive sacred religious temple of lava rock several stories high that is registered as a National Historic Landmark. It’s spookily awesome. 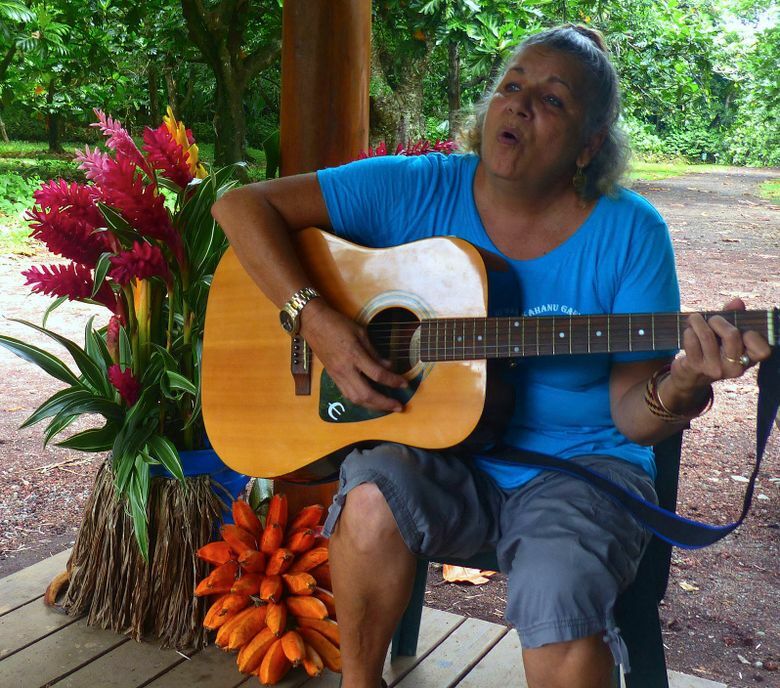 If you’re lucky, the gatekeeper on duty will be Pi’ilani Lua, who will happily tell about her ancestors who lived here, including her grandmother, who was coached as a girl not to tell outsiders about the heiau for fear missionaries would build their churches atop it. 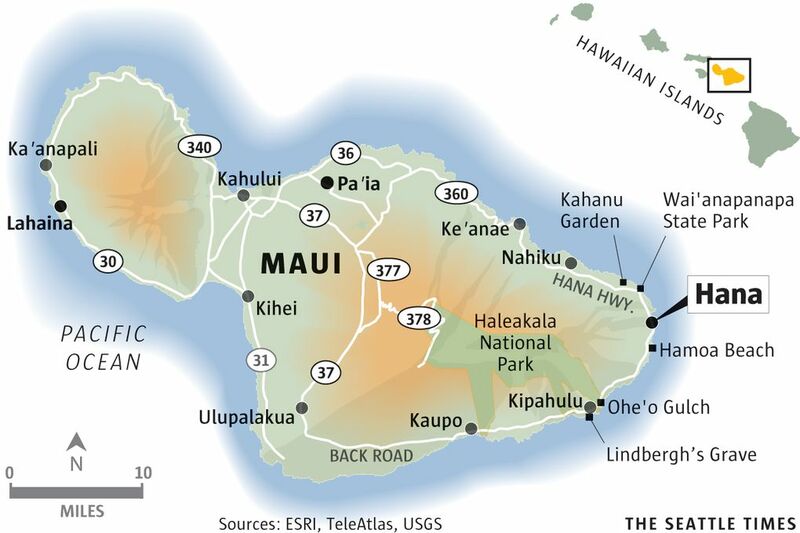 Your final choice is the return route: whether to retrace the Hana Highway or grab the full gusto and take the “back road” — Highway 31, the Pi’ilani Highway — around Maui’s south side. Car-rental agencies will tell you this remote route violates your contract, so don’t tell them I said it was OK. But while some stretches still cause big gulps — splashing waves have rusted out guardrails in one spot — only a few miles remain unpaved; lots of pavement is practically brand-new. 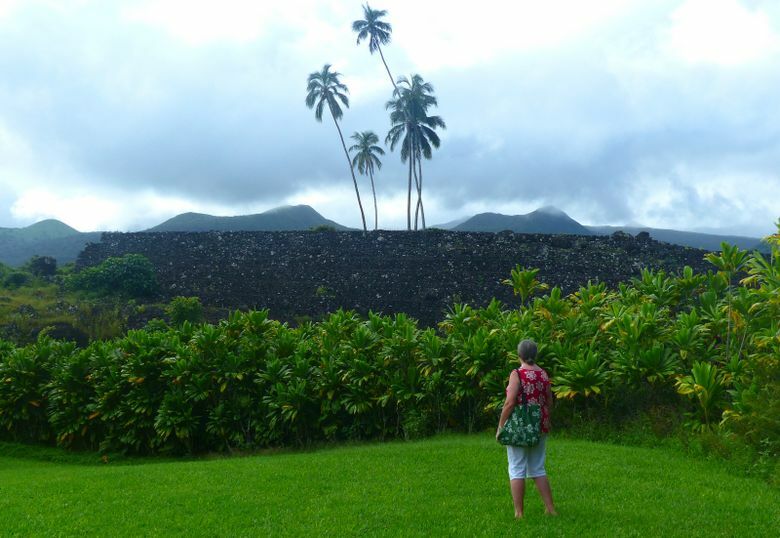 If you risk it, expansive views of wild shoreline and blue water are a satisfying finale for a Hana safari.